Think Quicker Recovery Time, Not Quicker Backup - While incremental backups are much faster than executing a full-backup, they also prolong recovery time. In the event of data loss, a full restore will require loading the most recent full backup and then each incremental backup tape. Having too many incremental backup tapes not only adds time to this restoration process, but it also increases the probability of not recovering all of your data. A tape could be lost, unintentionally skipped over, or contain corrupted data. Be sure to focus on optimizing the restore time to ensure faster data recovery. A quicker recovery time should be the main objective, not the need for a quicker backup process. Maintain Sufficient Backup History - Within the blink of an eye, current data files can become corrupted and inaccessible. This will necessitate the loading of an earlier data backup that is clean of corruption. Many smaller companies make the mistake of failing to keep a sufficient backup history. Be Sure to Backup Essential Data AND Applications - Some businesses don’t feel the need to backup all data, but be sure essential databases, documents and records are backed up frequently. Don’t overlook applications that are critical to day-to-day business operations either. Many companies fail to backup applications, only to realize when it’s too late that they don’t have access to the original installation disks when they’re trying to recover from data loss or an outage. 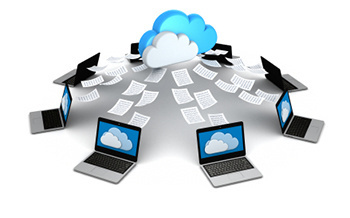 Have Off-Site or Online Backup - Some businesses backup data simply by moving essential files to tapes or external hard drives that are then stored somewhere onsite. But if they’re kept onsite, what happens if a fire, flood or other natural disaster takes out not just your server but your backup tapes and drives? Onsite backups can also be susceptible to theft. Having secure off-site, or even online backup, is simply the smart thing to do to ensure quick recovery when trouble comes to town. Fix Broken Access Controls on Your File Server - Many businesses have folders with confidential data residing on a file server with overly permissive access controls. Why take the risk of having a disgruntled - even former - employee access and misuse this data when access can be limited to only those in the company who need it? Be Sure to Test Restores - It happens time and time again. Business owners think they have a data backup plan in place. Tapes are changed diligently each day and everything appears to be backed up and good to go. However, it turns out the backups haven’t been working for months, sometimes even years, right at the very moment they’re needed. Either the backups had become corrupt and useless or large segments of data were not being backed up. This happens often. Don’t let it happen to you.